The Tealeaves sound is inspired by the era of the great singer-songwriters, including Cat Stevens, Simon & Garfunkel and Don McLean. Their music overflows with melody, harmony and lyrical honesty, and has been described as heart wrenching to say the least. James, the original leaf, gathered the group together in 2008 to prepare and record their self-titled debut album with eminent producer and engineer, Hadyn Buxton. Traversing a wide range of musical styles, their songs range from harmony filled wall-of-sound band tracks to intimate, melancholy indie-pop. 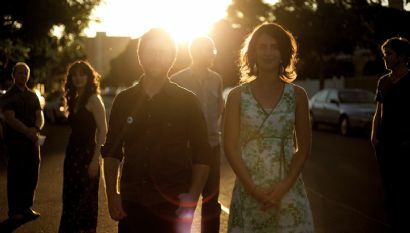 In only their first year, The Tealeaves have already received industry acclaim, having been invited to appear at a number of major international Music Festivals, including Queenscliff and Port Fairy, and appear destined to become a mainstay in the Australian Music Festival community. With a style that is instantly familiar yet entirely unique, The Tealeaves have crafted a sound that you will want to revisit again and again.